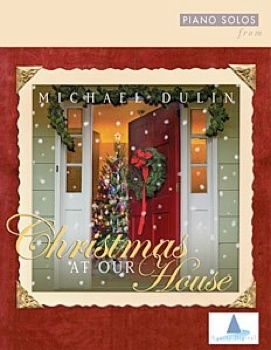 Christmas at our House is the companion songbook to Michael Dulin’s 2005 CD by the same name and contains all of the songs on the recording except the reprise of “O Come All Ye Faithful” that closes the album. This is a really beautiful book, with spiral binding, a full color cover that matches the CD, and nice crisp print. The music is well-spaced and clear, and the music is printed on a slightly heavier paper stock that should be very durable but does note interfere with page turns. 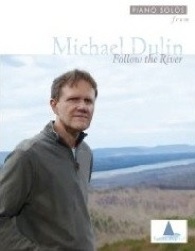 If you are familiar with Michael’s music (and I have to assume you are if you’re reading this review! ), you know that he’s one of the best pianists on the planet. And if you’ve played any of his sheet music, you know that it isn’t easy. This book is not an exception. Early-advanced and advanced pianists will find the music a bit challenging, but not impossible by any means. Giving the tricky passages some extra time and attention will make the pieces smooth out fairly quickly. 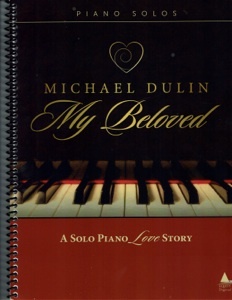 These transcriptions (transcribed by Dulin himself, and edited and proofed by me) were intended to be as close to note-for-note to the recording as possible, so they will be challenging for most pianists. However, like so many great pieces of classical music, once you have them, you’ve accomplished something and will enjoy the music forever. This is an exceptional sheet music book and I give it my highest recommendation. 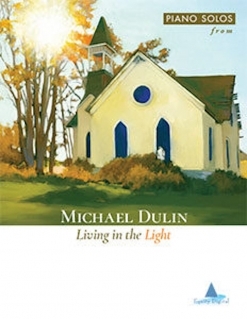 It is available from www.michaeldulin.com.